The birds are singing, the sun makes peek-a-boo appearances and your winter bulbs are poking their little shoots through the ground. If these signs aren’t enough to make the gardener salivate, consider the warming temperatures as spring begins to arrive. It’s only natural to want to get out in the mud and start on your garden beds, but before you jump right into it, there are a few things you should know. Proper tillage practices force the eager gardener to remain stoic and wait until the sun-kissed earth has dried out enough for working the soil. So what is over tillage anyway? Excessive soil tilling is when you work the soil when it is too wet and not ready for turning. Tillage causes an increase in beneficial bacteria that help compost organic material and carry nutrients to plant roots. The practice introduces oxygen to organisms, essentially feeding them and spurring them to greater good in the garden. When you expose these organisms too early, the plants are not ready for their benefits. As a result, the burst of nutrients that are released may simply be flushed away by spring rains and erosion. Excessive soil tilling also destroys delicate cycles that are taking place in the ground. Fungal hyphae are ripped apart from tilling soil too much; beneficial organisms, like earthworms, lose their homes; and rich humic carbon, which is valuable for increased fertility, is released as a gas. This sudden disruption of the delicate network of life in the soil can take quite some time to re-knit. Preventing the negative effects of over tillage requires some knowledge of the right time for tilling and appropriate methods for soil amendment. Tilling is useful on hard, unworked soil and to turn under weeds. That being said, the average gardener shouldn’t have to perform this task every year if they rely on earthworms and rich, organic soil to loosen the earth. Promote the earthworm population by forking in loose leaf litter and organic debris. Try not to disrupt the valuable topsoil too much, as it is rich in nutrients from deposits of compostable material. Tilling soil too much decreases fertility, compacts soil and destroys the sensitive web of life that sustains plants and soil health. 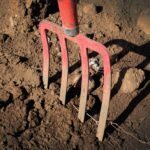 It’s important to note that tillage is appropriate when starting a garden bed and when compaction is already a problem. In this case, work in plenty of compost to increase the porosity of the soil. Never work the soil when it is soggy. Wait until the top 6 to 8 inches are dry to prevent clumping. Use manual methods when practical to avoid further compaction from mechanical tires. 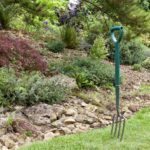 Often a deep, hard raking will break up topsoil clumps enough without covering this important soil layer. If your soil is rich and organically composed, seeds and baby plants should have no trouble getting a good start and spreading their roots into the rich garden bed.